Kilkerran Bourbon Wood (9yo), Work in Progress Batch #5 (46.0%): Campbeltown Malt Festival is approaching and sadly I am not going to be able to do it... It's unbelievable how much I missed everybody in the distillery. I am sure it will be a blast and I cannot wait to see the photos and videos later online. But because of the occasion I wanted to choose an appropriate dram to taste tonight. And on top of everything it's World Whisky Day..! Let me introduce you Kilkerran Bourbon Wood from Glengyle distillery. 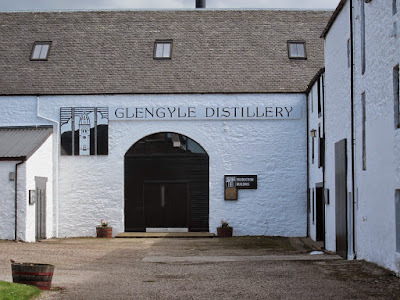 Glenygyle distillery is purchased in year 2000 by Springbank Distillers basically as a decaying shell. The restoration of the site and the buildings started immediately after. It took almost two years for the distillery to take shape and the equipment start to be installed. 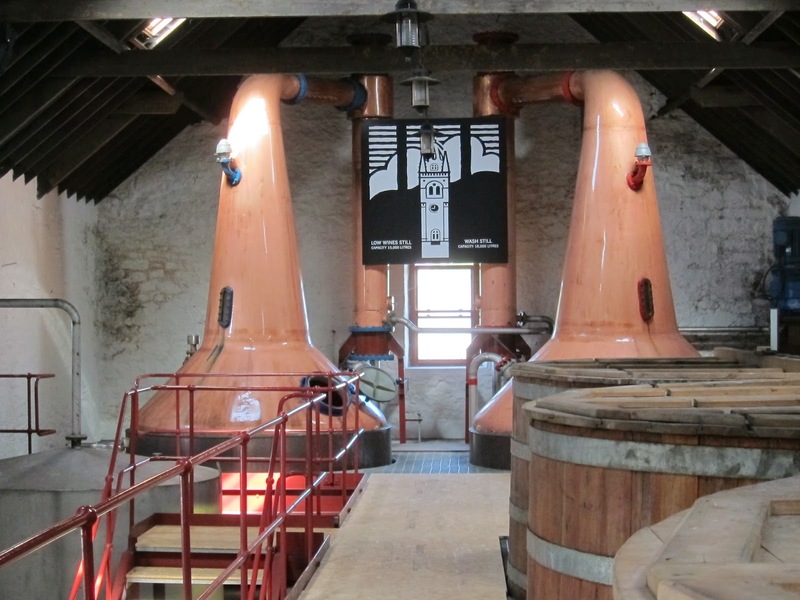 Frank McHardy designed the entire distillery in every detail and sourced the equipment from all over Scotland. 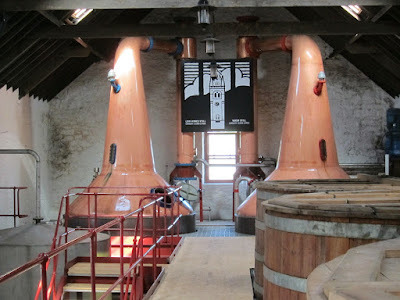 Pair of stills arrived from old Ben Wyvis Distillery and the mill from Craigellachie Distillery. Custom built stainless steel mash tun and four 30,000 liter larch washbacks delivered to the site later in 2003. March 7th, 2004 after years of planning, designing and hard work first drops of spirit ran into the spirits safe. 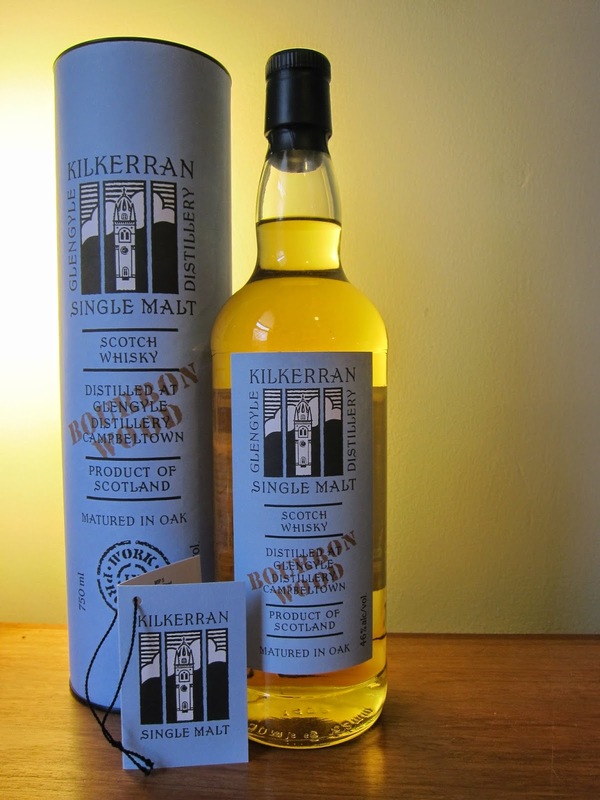 In 2009 the distillery released their first work in progress bottling under Kilkerran brand and since then they continued to release new batches every year. The whisky I will taste tonight is the 5th work in progress release. It is bottled in 2013 and only 9000 bottles have been made available worldwide. Color: Yellow gold, Chardonnay. Nose: Candle wax and uncured leather. Almost like a vintage buckskin jacket you scored from your local Salvation Army Store. Cream soda, green moss and Granny Smith apples. A hint of musk and peat. Camembert cheese. Smells like a walk at seven in the morning in Wee Toon. So characteristic Campbeltown... Unbelievable. A few drops of water brings even more ocean notes. Now it smells like the return from a fishing trip. Salty, briny, covered with diesel fuel and oil. Palate: Orange zest jam, sea breeze, fresh pineapple slices. Cripps pink apple and lime juice. With water: East coast IPA, cigarillos, sweet soot and eucalyptus drops. Tangerines, wet germinating barley and salted butter on brioche buns. Finish: Medium - long with sea salt, black pepper and grilled green peppers. Fading charcoal fire. Overall: Oh, boy... My kinda dram for sure... Young, sizzling, salty, a little smoky and full of potential. Kilkerran releases make me so excited every year, Whole city of Campbeltown distilled and funneled in a glass. If I had a distillery anywhere in the world I would be praying for a spirit exactly like this aging in my barrels. It's full of potential and waiting for various wood finishing experiments coming in future. One of my favorite young whiskies all over Scotland.